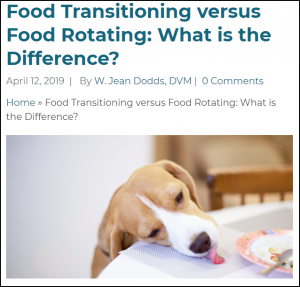 I have been rotating what I feed my pets for years, and at Green Acres Kennel Shop we have been recommending dietary rotation to clients at least since 2012 when our Operations Manager Kate wrote about her experience rotating diets in our newsletter that May ( FMI – http://bit.ly/DietRotation ). 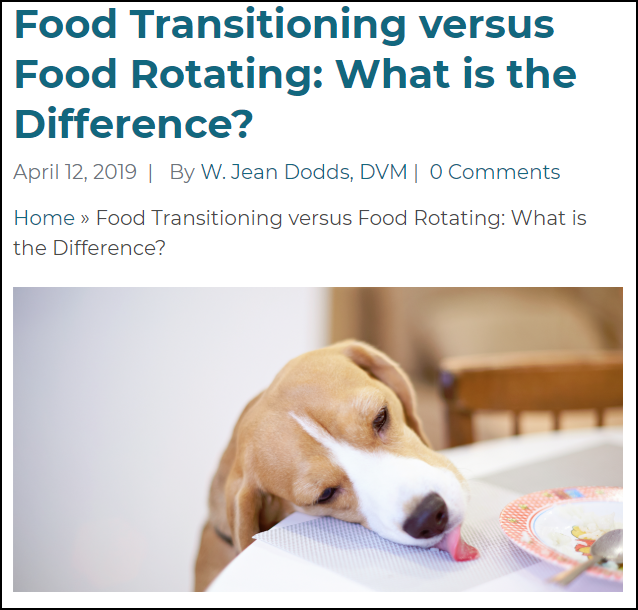 On April 12th of this year, veterinarian Jean Dodds of Hemopet and NutriScan published an article on her blog on the same topic. The following are some of the key quotes from Dr. Dodds’ article.